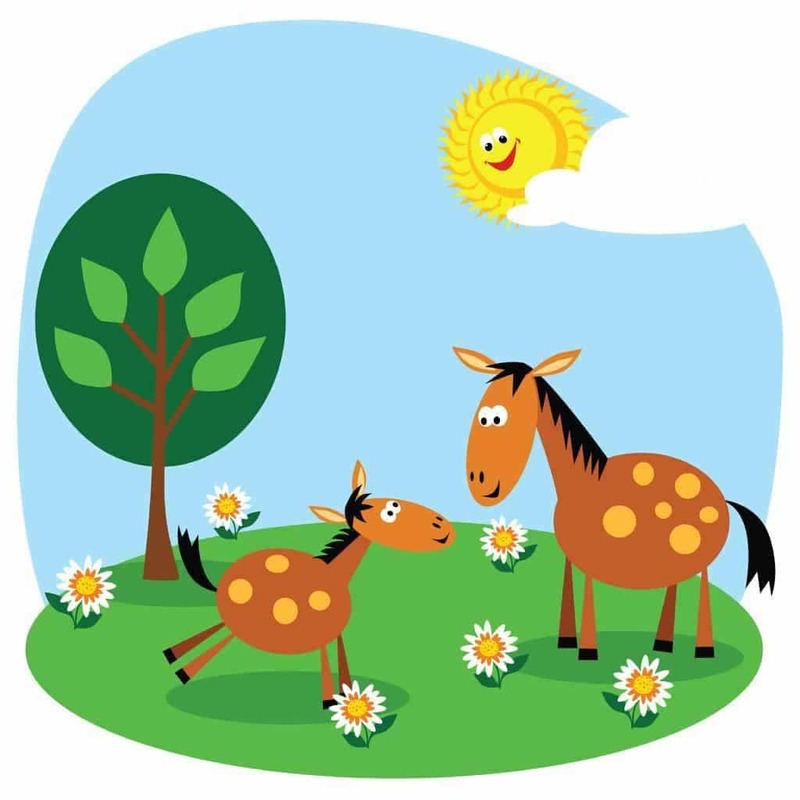 Horse Games for preschoolers through second grade. How about rocking horsey races down the hallway? When the clothespins are dry, have the children clip two red clothespins to a red horse, two blue clothespins to a blue horse, etc. Horseshoes: Cut several horseshoe shapes from sturdy cardboard. Allow children to trace around the shape on heavy paper and cut out. Have aluminum foil strips ready for them to wrap around their cut out; They can even play a game of horseshoes, indoors or out, with their project.